When cruising around the Chesapeake Bay, a fuel-efficient compact car that stores a lot of cargo is a great choice. 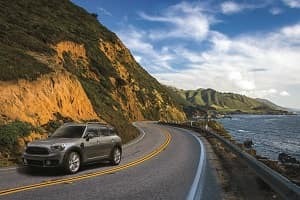 For drivers traveling to Annapolis, Highland Beach, or Hillsmere Shores, there are a lot of options on what kind of car offers that kind of capability. That’s why MINI of Annapolis put together this 2019 MINI Cooper Countryman vs. FIAT 500L comparison to help you decide which compact has everything you’re looking for. The 2019 MINI Cooper Countryman is a compact vehicle that’s designed to keep you going with efficiency. It gets an EPA-estimated 24 MPG city and 33 MPG highway. This type of fuel economy, plus a 16.1-gallon fuel tank, means you can drive an EPA-estimated 451 miles on a single tank of gas. The 2019 FIAT 500L is not quite as efficient. It only gets an EPA-estimated 22 MPG city and 30 MPG highway. It’s also not able to carry as much fuel, with a 13.2-gallon tank. As a result, you can only go an EPA-estimated 330 miles before needing to refuel. The MINI Cooper Countryman even offers a hybrid model, which gets an impressive EPA-estimated 65 MPGe combined. This is one of many options you’ll find in the Countryman that the FIAT 500L doesn’t offer. As a compact car, the 2019 MINI Countryman fits a lot of space into a small package. It allows for comfortable seating inside for five people, with 40.4 inches of legroom for the driver and front passenger. In the back row, there’s 37.6 inches of legroom. The 2019 FIAT 500L is a little more cramped, with 40 inches of legroom in the front and 36.7 inches in the rear. The Countryman also offers sleek roof rails on top to tie down longer items, such as kayaks, snowboards, or a Christmas tree. The options for additional storage in the FIAT 500L, on the other hand, aren’t as stylish. Rather than sleek roof rails that blend seamlessly into the overall body shape, the FIAT 500L offers a bulky roof rack that stands out and doesn’t fit the design. While the 2019 FIAT 500L is only available with a front-wheel drivetrain, the 2019 MINI Cooper Countryman offers your choice of front-wheel or all-wheel drive. However, that’s not where the versatility of the Countryman ends. All FIAT 500L models come with a 1.4L MultiAir® turbo engine, which offers 160 horsepower. While the MINI Cooper Countryman comes standard with a 134 horsepower engine, you have multiple upgrade options to choose from. For instance, the Cooper S Countryman has a 2.0L engine that provides 189 horsepower, while the John Cooper Works ALL4 offers 228 horsepower. Additionally, the FIAT 500L only offers a 6-speed automatic transmission, while the MINI Cooper Countryman offers both automatic and manual transmission options. With such a lack of powertrain options, the best thing that can be said about the FIAT 500L is that you won’t experience decision fatigue when you’re shopping for one. Which Compact Is Right for You? 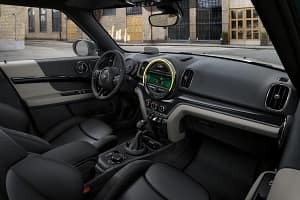 For drivers around Annapolis, Hillsmere Shores, and Highland Beach, the 2019 MINI Cooper Countryman brings a fuel-efficient drive to a compact car that drives like an SUV. 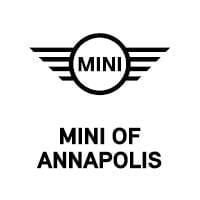 To learn more about the features mentioned in this 2019 MINI Cooper Countryman vs FIAT 500L comparison, stop into MINI of Annapolis for a test drive. Contact us today!